Gasteinertal - 3 places a valley - shaped for a holiday experience of the personal, down-to-earth, traditional and always friendly kind! Lush green meadows, imposing mountains, roaring water, fresh air and countless outdoor possibilities - that's the summer fairy tale of Gastein. Discover alpine nature and local culture during a summer holiday in Austria. 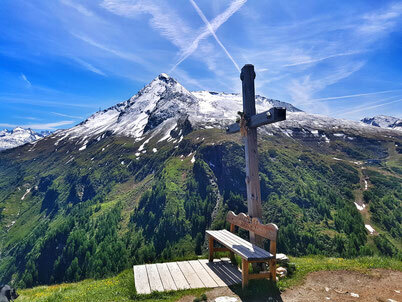 In addition to numerous activities such as hiking, biking, swimming and golfing offers each of the three Gastein places something very special and individual. You will not find that much variety in any other valley. During a summer holiday with the family in Gastein you can experience a lot and yet you do not feel the pressure to be there everywhere. A longer hike, a spa day in one of the spas or just coffee and watching the action - just do what you feel like doing and what's good for you. Start carefree and relaxed in every day and get to know the summer feeling of Gastein. To be alive. Have a nice experience. And revive it. Welcome to Gasteinertal, welcome to Gastein. Almorama - that means mountain experience in the Gastein valley in the Salzburger Land. For families and adventurers, for brave explorers and outdoor fans. Do you like spending time in the fresh air? Whether it's a hike along picturesque paths or great views at 2,000 meters above sea level? If you are looking for a certain thrill or just want to lie in the shade of the mighty stone pine trees, then the Gasteinertal is the perfect holiday paradise for mountain lovers. Especially during summer holidays or family holidays, the Almorama mountain experience in Gastein offers pure variety. Action packed on a via ferrata, with the family at the Speichersee high above the valley or enjoying nature on one of the many hiking trails. Everyone gets their money's worth on the Almorama mountains. The weather in Gasteinertal checked and up on the mountains. In the period from May to October, the Almorama mountains are particularly easy to explore with the cable cars. Tip: In addition to the Almorama hiking gondolas you also have the opportunity to discover the mountains Schlossalm and Stubnerkogel even more effortlessly. 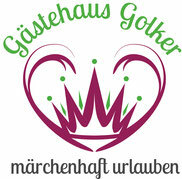 The active holiday in Gastein in the province of Salzburg will find the ideal challenge. Take a bike or mountain bike tour through the Gastein Valley and visit places by bike that you can not reach by car. The flat bike path through the valley invites you for a leisurely trip with friends or the whole family in spring, summer and autumn. Enjoy the cool air and relax on the sun terrace of a lively café. Speed-lovers use the road to whiz through the Gastein valley with their racing bike and let the scenery rush by. For those who want to master the altitude, the mountain bike is just right. On marked trails, it goes into the mountains of the Hohe Tauern. As a reward, some alpine hut awaits you with culinary delights. Always on the road and covered with many a secret tip, the professional bike guides are on the road in the Gastein Valley. Road bike, bike or mountain bike left at home and on vacation still feel like cycling? No problem. Choose the right bicycle or bike for you in the bike rental. So nothing stands in the way of your holiday with a bike.